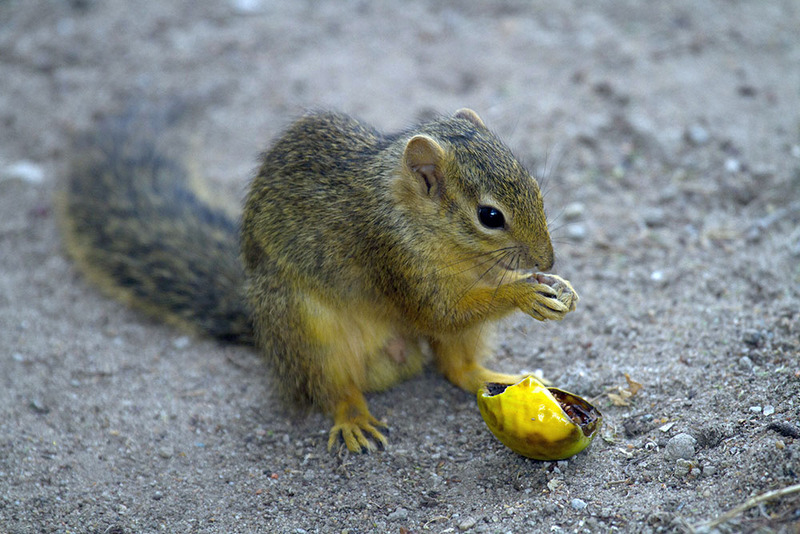 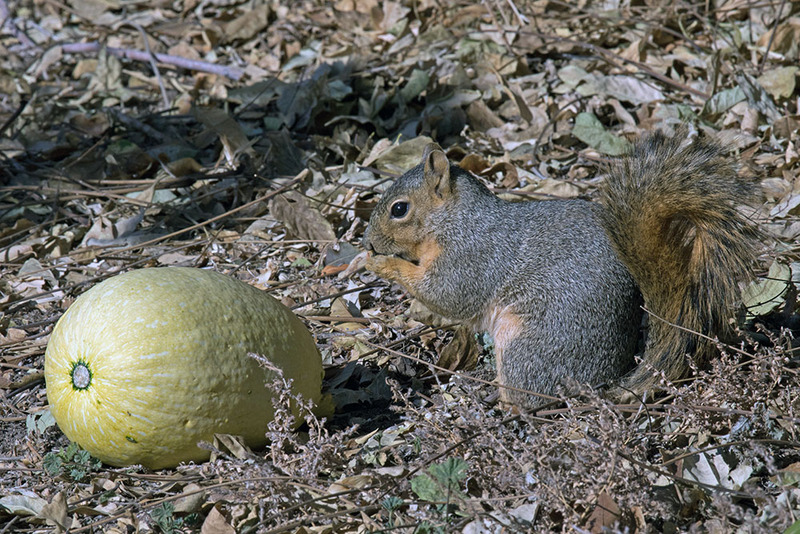 The family Sciuridae is a large one with 278 species and 51 genera. 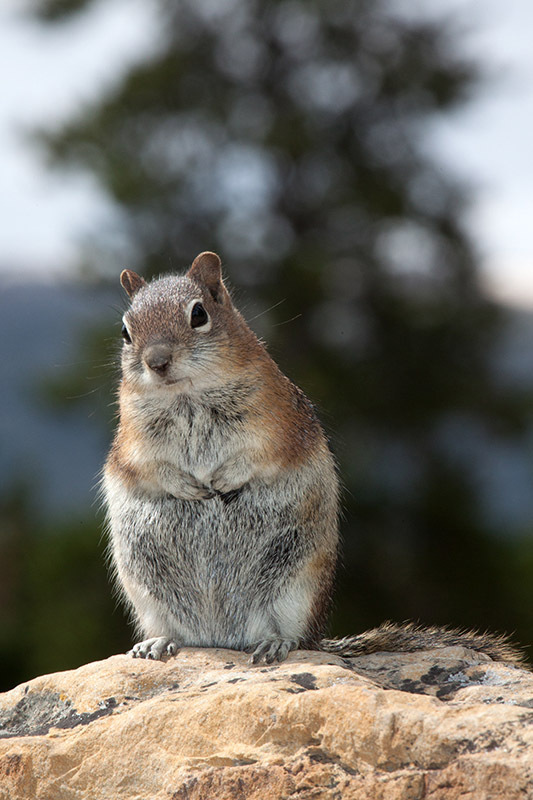 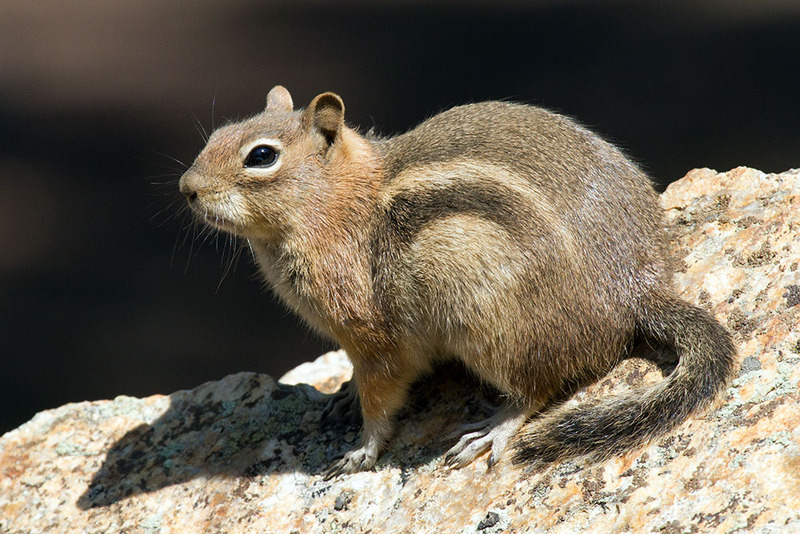 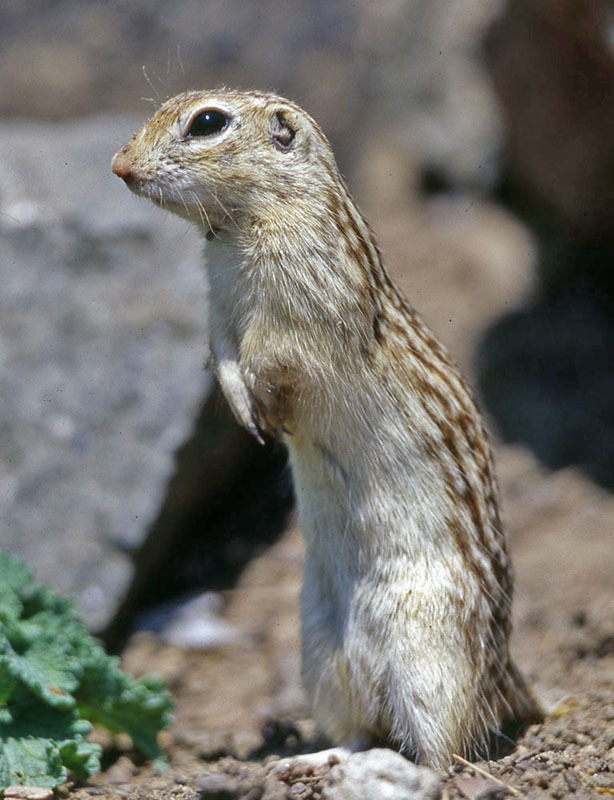 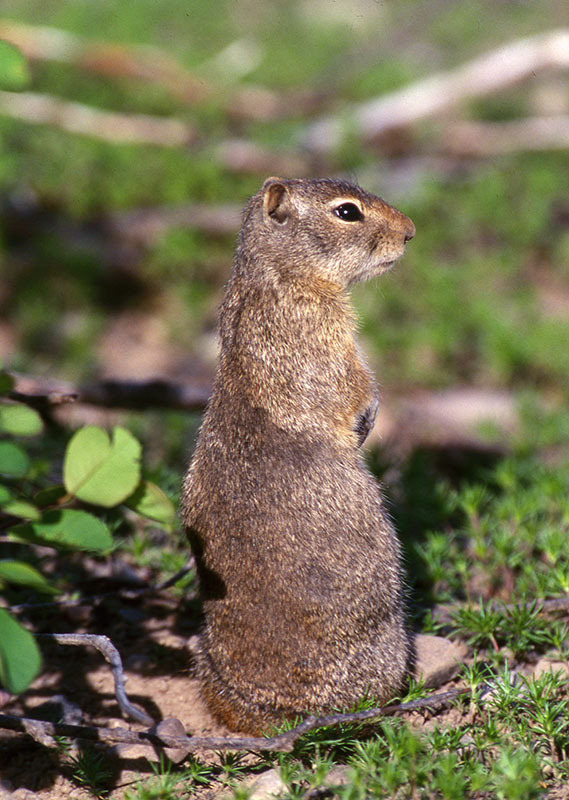 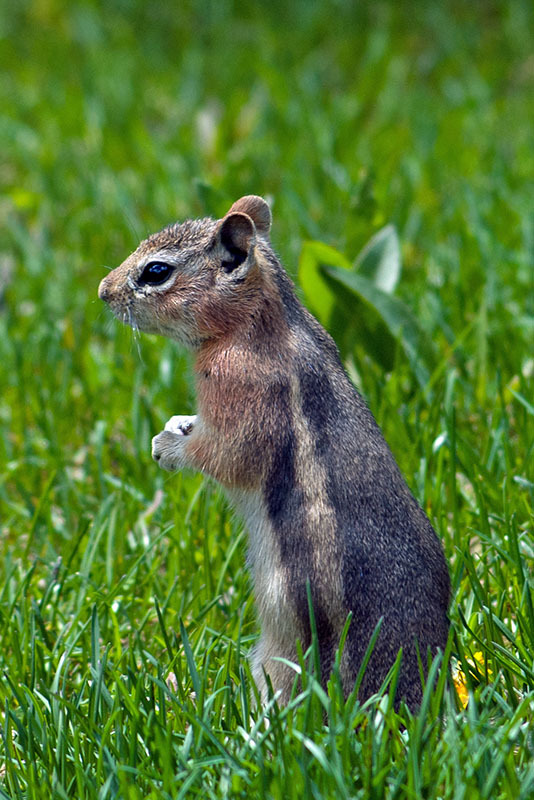 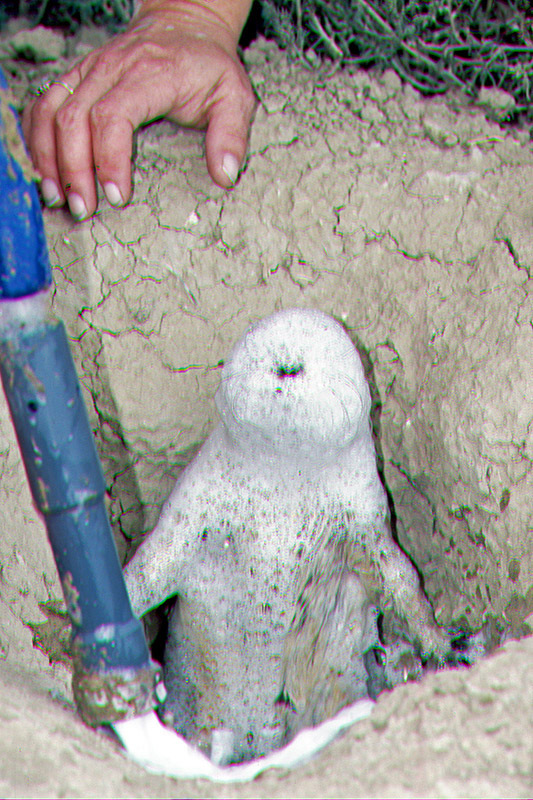 It encompasses squirrels, chipmunks, ground squirrels, flying squirrels, prairie dogs and marmots. 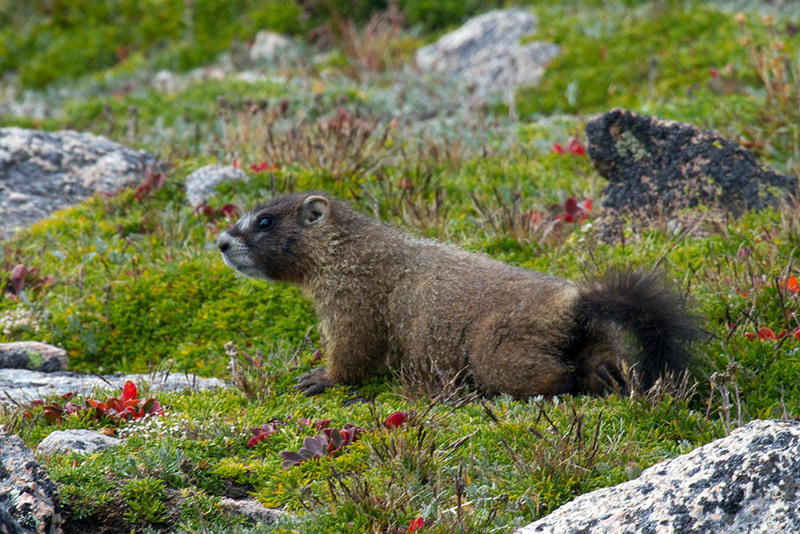 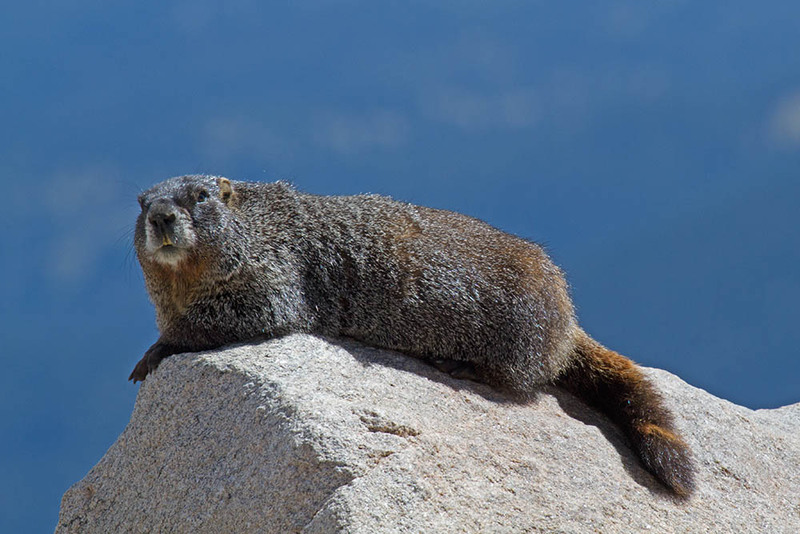 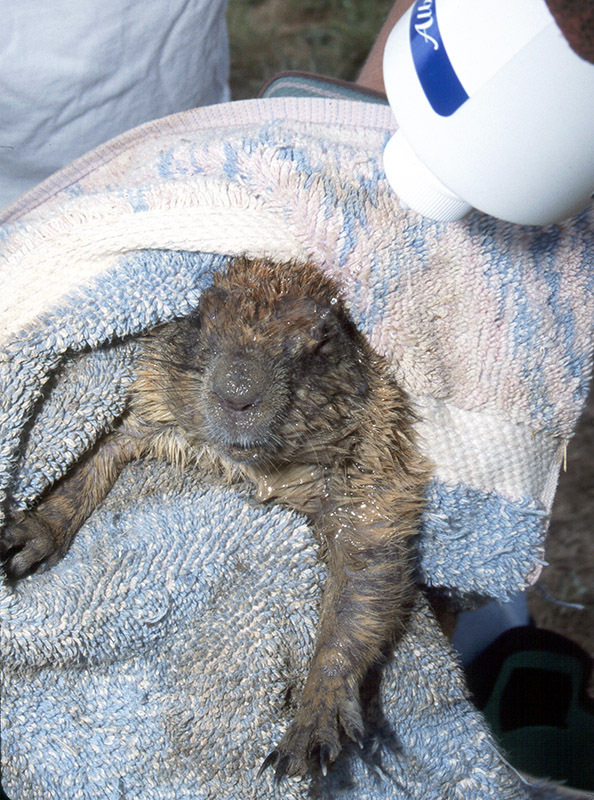 While most members of the family are relatively small, marmots can reach weights of up to 8 kgs when ready for their winter hibernation. 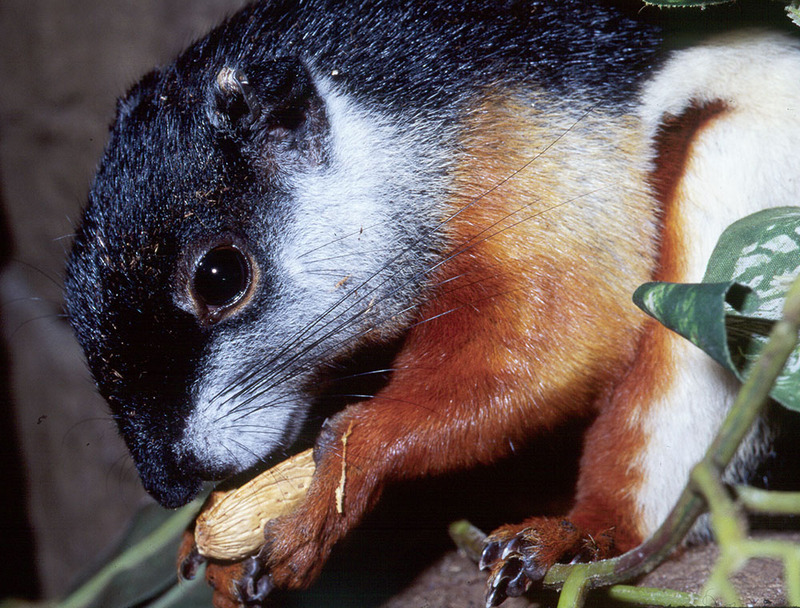 Sciurids are found on all major land masses with the exception of Australia, Madagascar, New Zealand and Antartica. 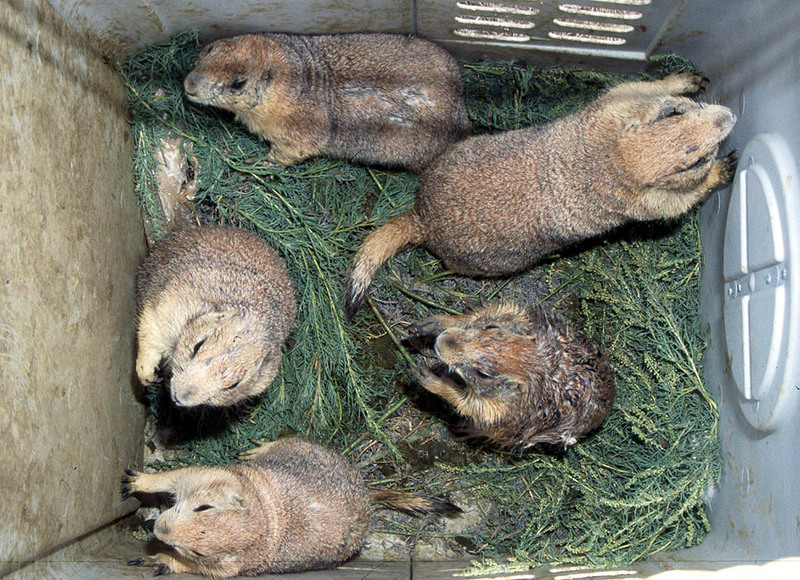 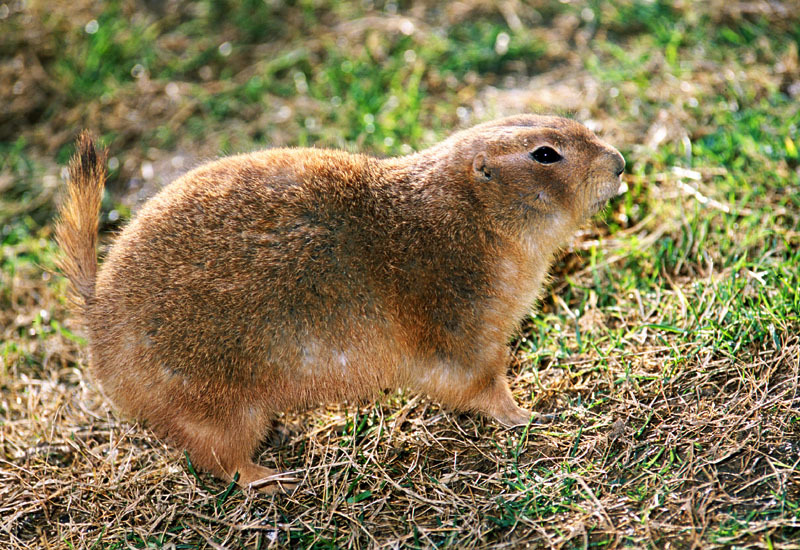 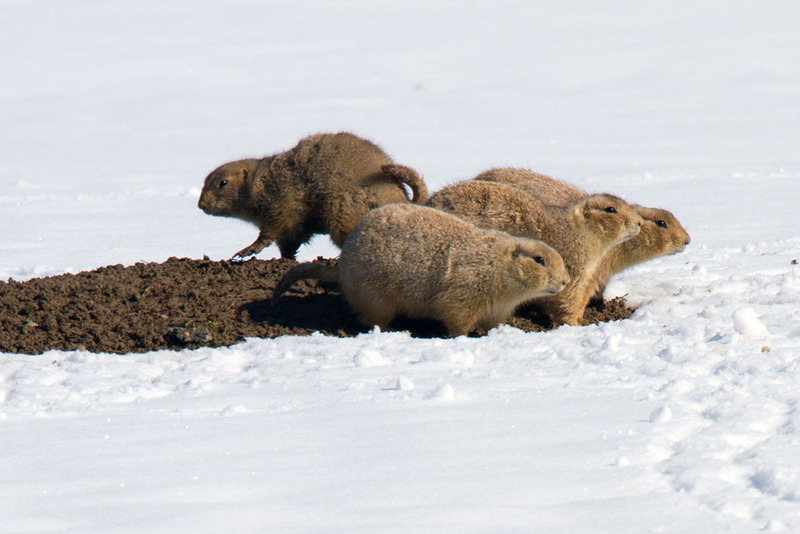 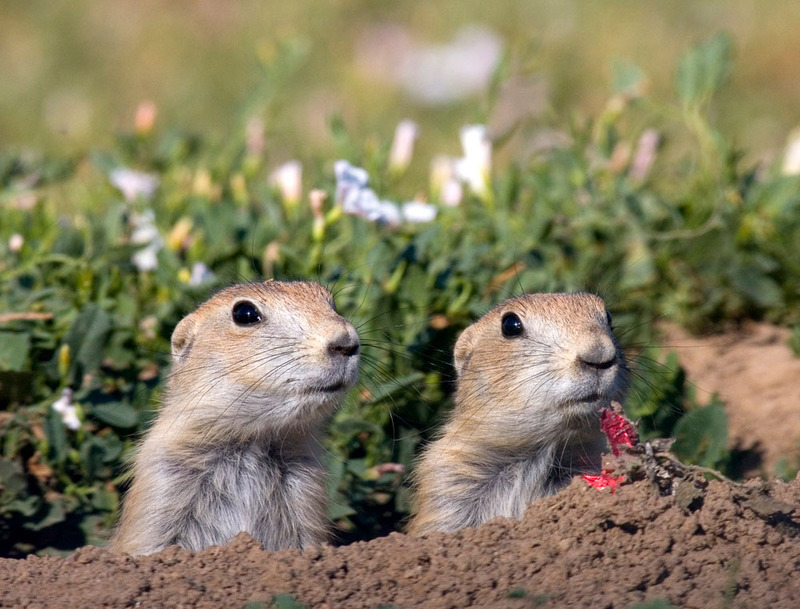 While most species live solitary lives, except for those which den socially in winter, prairie dogs live in vast colonies and possess very sophisicated comunication systems with a variety of vocalisations. 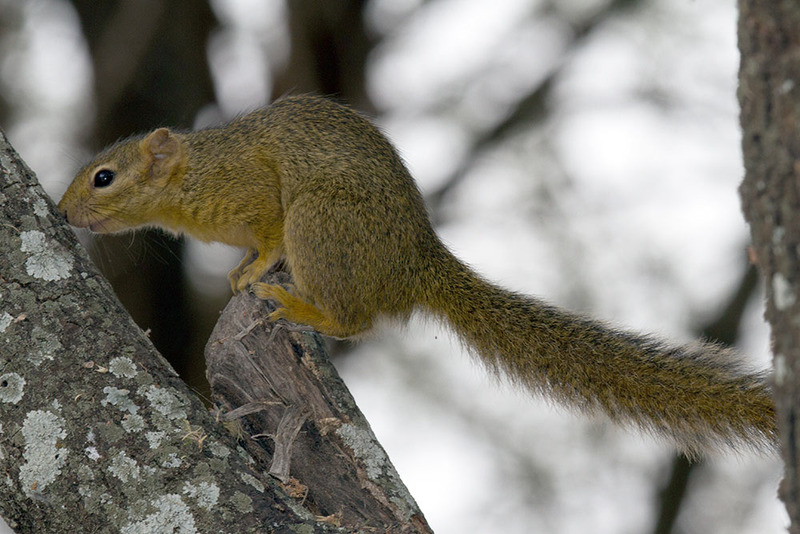 Squirrels, the scourge of bird feeders, are accomplished at learning and then circumventing attempts to keep them away. 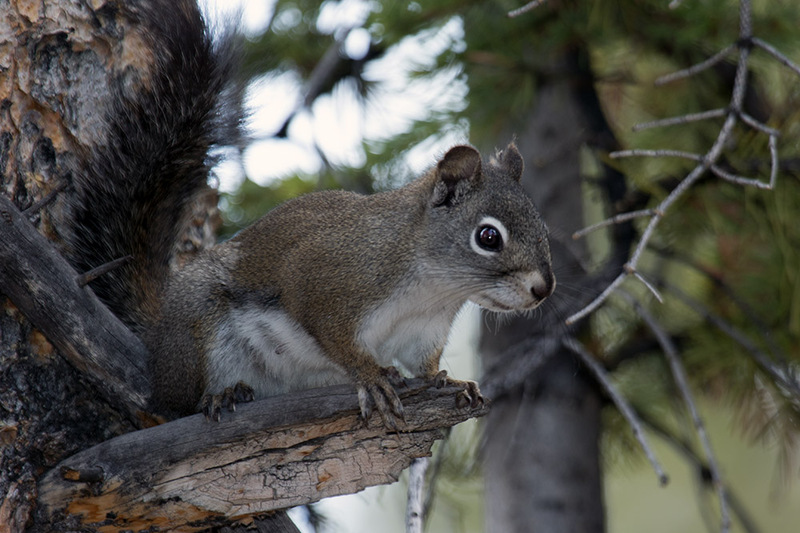 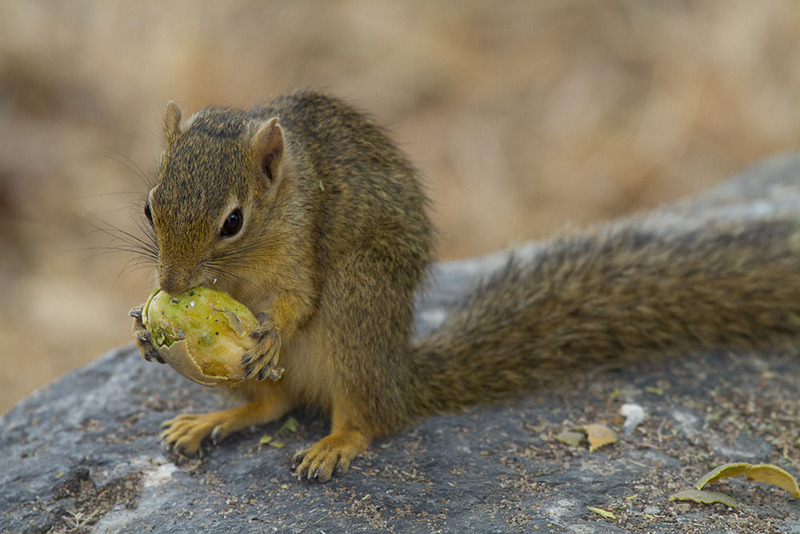 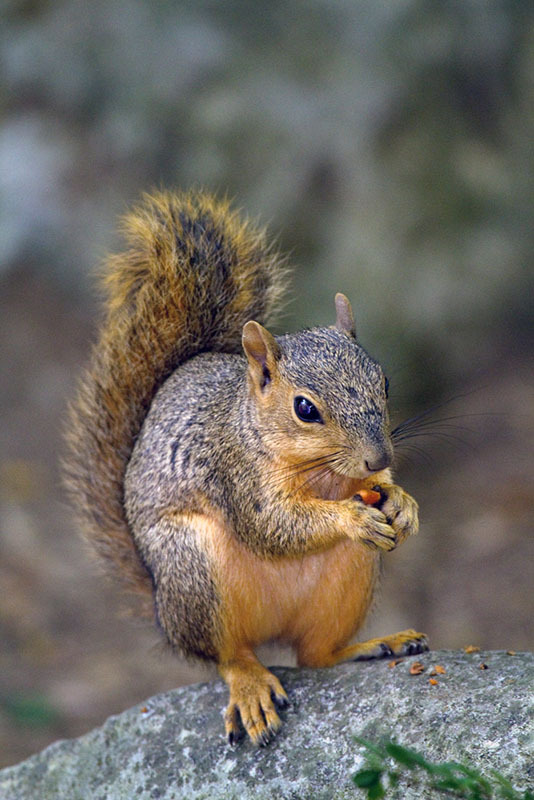 The introduction of North American grey squirrels into the United Kingdom has been devastating for the local red squirrels which have been displaced through much of their range - probably as the result of an introduced virus. 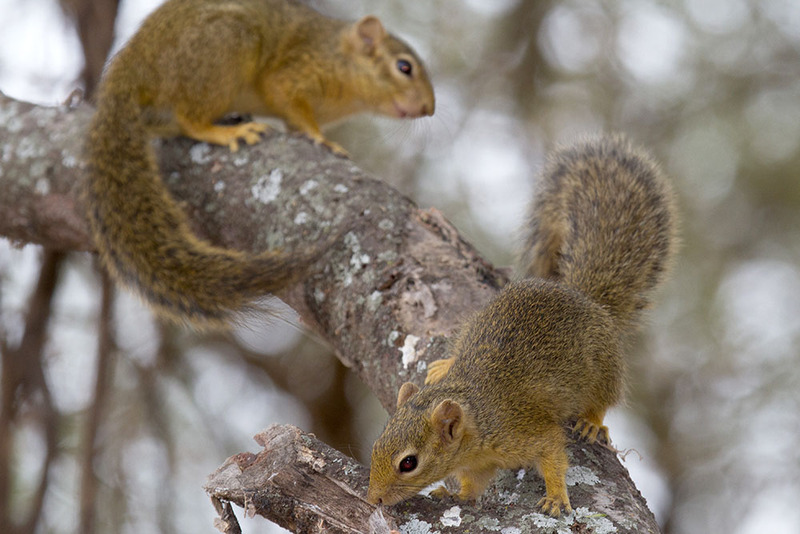 For more information about squirrels check out the Tree of Life entry. 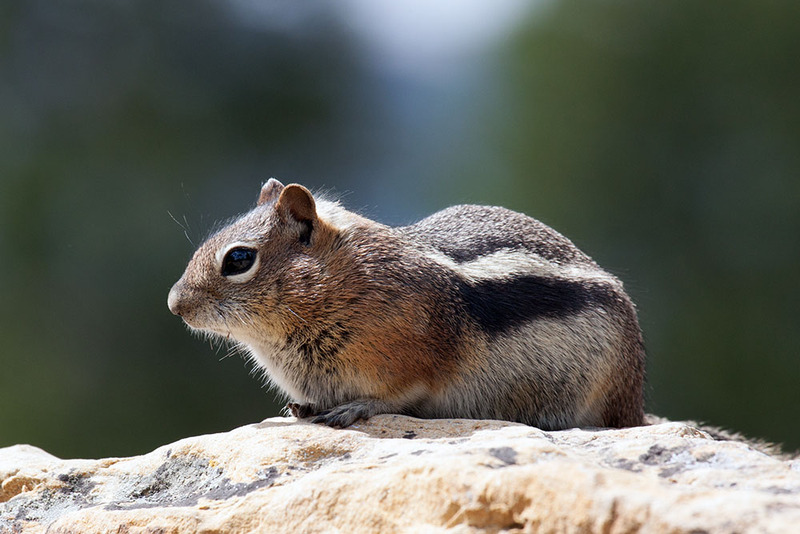 MAMM 5815 Callospermophilus lateralis, Gold-mantled ground squirrel, Breckenridge, the apparently odd framing is to accommodate the tail!